Coffee Parisien came back on my radar recently when I was planning to have brunch with a friend visiting from London. I was in a bit of a pickle because I wanted to go somewhere that did a good brunch but I didn’t want to wait 1 to 2 hours to get food in my belly. I also didn’t want to be shuffled out quickly after swallowing my last morceau because other people were waiting. Sadly, with overly popular brunch places in Paris, this is unfortunately what happens when you go for weekend brunch. Coffee Parisien opens at 11 am on Saturday and Sunday’s and service continues until midnight. They don’t have a specific brunch menu so you can order Eggs Benedict or Pancakes at whatever time you want. You don’t have to heave yourself out of bed to go and queue for hours for some fantastic pancakes. You can have a lie in and plod on over when you feel like getting out of bed. Pancakes at 4pm? TOTALLY okay. My friend Rachel and I headed over around 11.30 am and were the first people to arrive at the restaurant. We promptly ordered some pancakes from the griddle – chocolate chip for me and raspberry for Rachel and two large cafe cremes. The American diner style restaurant is cosy and comfortable, with plenty of tables and some seats at the bar for people just dropping by for a coffee. The staff were all really warm and welcoming and the girl who served us was just wonderful, it makes such a difference when you get good service! If you don’t fancy breakfast food, they also do starters, bagels, salads, burgers, Italian dishes and “Coffee’s special” which include dishes such as BBQ ribs, Chicken Fajitas and Chilli Con Carne. There really is something for everyone on the menu! Pancakes are priced between 8 and 9 euros so are really reasonable and our cafe cremes only cost us €3.50 each, which for the area (the 6th) was not expensive at all. All in all our brunch cost us 12 euros each and with a stack of 3 pancakes, we were more than full! So, as the weather is getting colder and our jumpers are getting thicker, try out a delicious meal at Coffee Parisien. 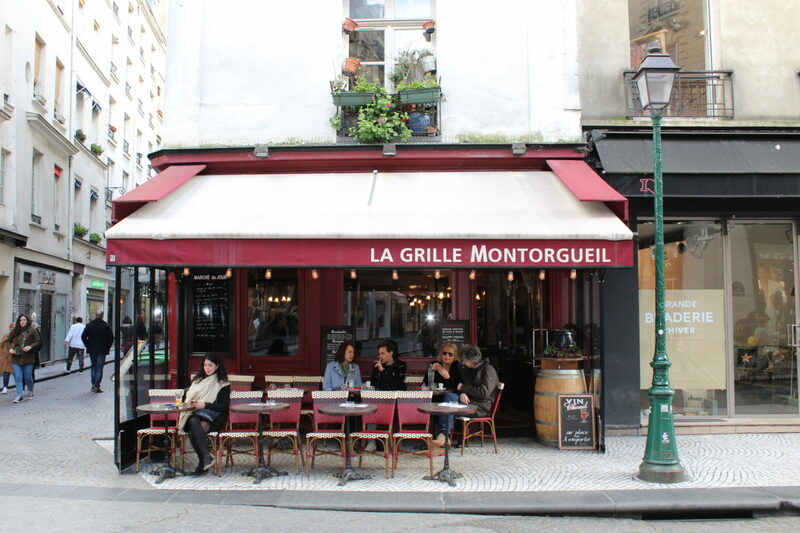 As its name suggests, it’s the perfect mix of American and French culture. A must for any pancake lovers!